It’s funny how my family and I got into the “business” of creating beach home decor. 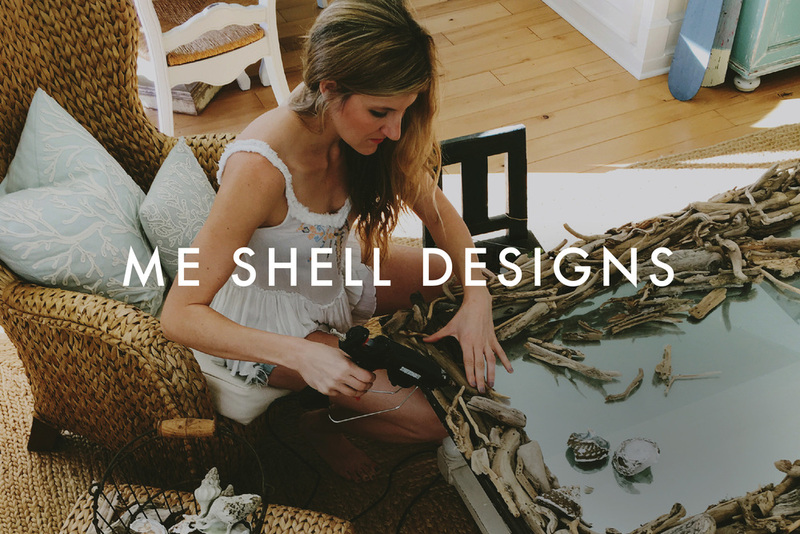 Our shell journey simply started with my mom collecting little shells and pieces of driftwood and making little picture frames to put up around our home eventually creating: shell mirrors, driftwood mirrors, frames, wall decor and glass bottles. Basically my mom wanted to bring the beach into our home. After a few months my dad realized that other people liked our sea art too. So my parents and I started making more and more pieces, which eventually led us to finding a studio where we could create. I have spent many nights with my mom and dad in our studio working on bottles and mirrors. Selling our pieces to a few different stores and to personally create and design pieces for private client’s homes. My dad is the mastermind behind the bottles. He uses antique bottles of all sizes and solders shells, sea fans and other ocean treasures on top; they are spectacular! My mom and I specialize in creating shell/driftwood mirrors, picture frames, wreaths, and shell chandeliers. Each piece that my parents and I create are unique– no two pieces are alike. 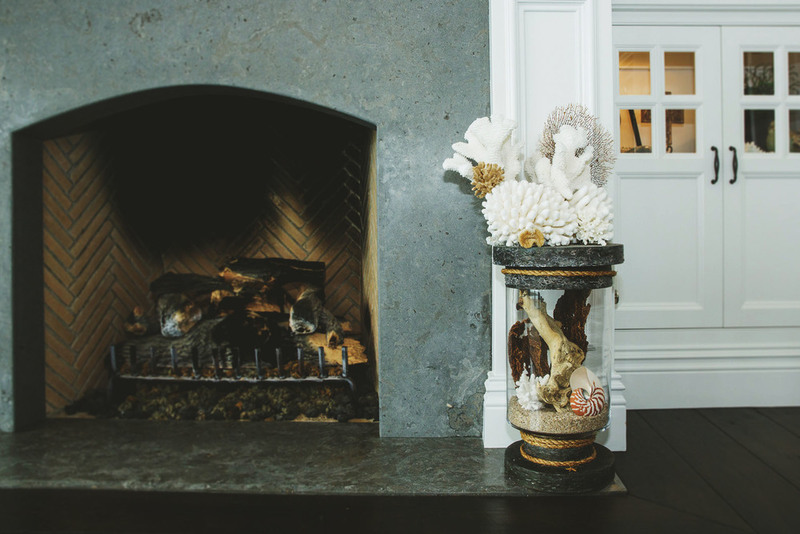 Just like a seashell is unique and a one-of-a-kind treasure, so are the pieces that we create. 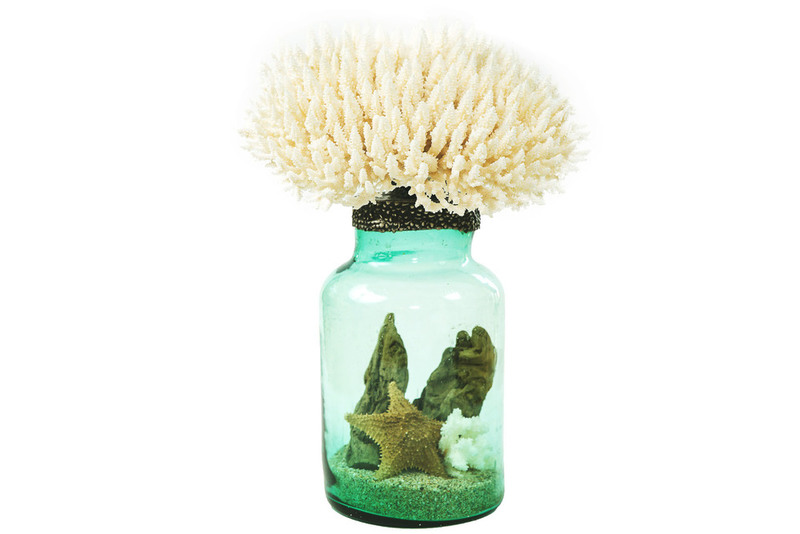 All of our seashells, coral, and sea fans are gathered from around the world and purchased through licensed distributors. Me and my family's love for the sea and all it contains is our inspiration and it is our hope that each piece will not only enhance someone’s home or office but will also be a source of inspiration too.